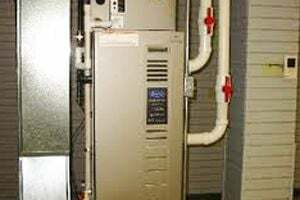 Dade Super Cool Air Conditioning, Inc.
Pollux Air Conditioning Services, Inc.
Air Supply A/C Services & More, Inc.
Home Pros of Miami, Inc.
First Aid Air Conditioning and Appliance Repair, Inc.
Air 1 Air Conditioning, Inc. Comment: Looking to replace an old wall thermostat to a new digital one. The one currently on there is messed up, Turns on and off by Switching it, not Auto. I would be providing the Thermostat. Just need a quote. Please and Thank you! Comment: Rats have eaten the insulation around my existing duct work. As a result the a/c ducts are sweating and dripping onto my ceiling and out some of my vents. It appears that the duct work needs replaced. Comment: I would like to get an estimate for getting vents installed. Miami Heating & Furnace Contractors are rated 4.77 out of 5 based on 1,555 reviews of 31 pros. Not Looking for Heating & Furnace Systems Contractors in Miami, FL?